real corp 2019 . we are guest speakers at real corp 2109 with a lecture entitled "how to meet the city" at the kit karlsruhe. on the conference's subject "perfect smart cities vs. real emotional cites" we talk about future visions of urban places. floschen stadium . our restructuring concept has been awarded with the contract for the venerable floschen stadium in sindelfingen. next to the repair of already existing potentials for use the main focus of our design concept lies in the transformation of the areal into a contemporary sports park. In close proximity to the inner city the stadium is marked by its landscape and intends a wide range of usage from recreation to competitive sports. a piece of town . 2nd price for our proposition we developed together with kadawittfeld architekten for the development of the city center areal in böblingen. high quality living with services and retail shops enhance the public space of the lower town. rendering © kadawittfeld architekten. inside vectorworks . as part of the lecture series of our cad program producer we hold a lecture about socioecological urban design on march 21, 2019 at 1 pm in the designerwerkschau in munich, Gotzinger Strasse 52b. we will present insights into our projects that confront climatical challenges but also into their specific procedure within our daily bauchplan routine. floating park . situated in between the danube and the city of klosterneuburg a former barrack transforms into a contemporary city district which leisure quality characterised by water. surface and rooftop water will be collected while the future promenade will absorb and seep away the water entirely. the former military training ground will turn into a floodable recreation and adventure park next to the danube. start of construction in landau . lower city landau an der isar stablishes a new image. the construction site in the town at the isar starts at the lower town square. 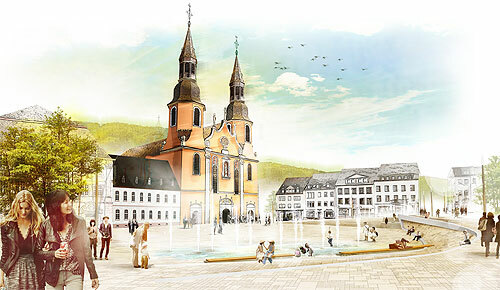 after implementation of the open space the square facing the river will be counterpart to the upper townsquare next to the historical town hill. a succession of streets and squares will be the backbone of a sustainable development within its inner-city district. finalist gasometer neighborhood . our project was selected as one of the 5 finalists of the international urban design and open space competition for the gasometer neighborhood in vienna. a young productive district and a distinctive alleyway form the framework for the new central park that will be gradually implemented. start of construction markterlbach . 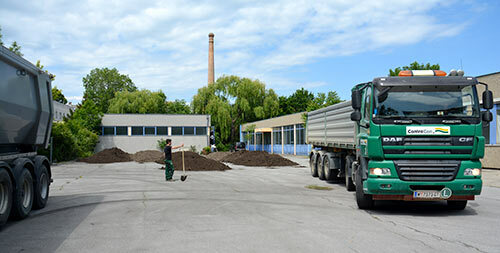 our upcycling process of the main street in markterlbach starts with a groundbreaking ceremony. seven years after winning the competition together with srap architekten valentien maier ingenieure the projects heads into an exiting period of implementation. station square karlsruhe . 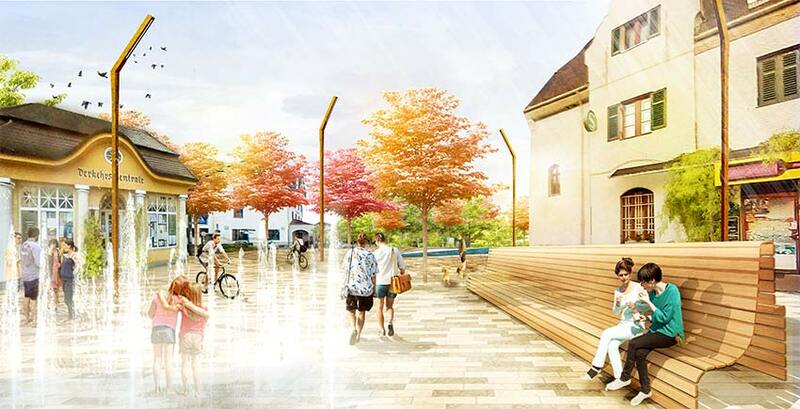 climate watch, our concept for a sustainable square design at the southern portal of the karlsruhe train station, developed in collaboration with berchtoldkrass and dwd ingenieure, wins the first prize in the international design competition! herzblut (lifeblood) . architektur in progress publishes in the publishing house verlag für moderne kunst our border bridge between bad radkersburg und gornja radgona as one of 150 positions of architecture in and around austria. urban planning in a ludic way . together with interested habitants and bogevischs büro we play the first step of participation of the urban development district friedrichshofen am dachsberg in ingolstadt. as a result of the workshop there are five exciting studies to urban density and the distribution in the future district. hot town . on the occasion of the world climate conference 3sat is featuring the freiluftsupermarkt wien in a documentary on the future of cities. as part of a series on integrative urban development projects the freiluftsupermarkt has the objective to increase our awareness of urban greenery for an enhanced inner city climate. urban design award . 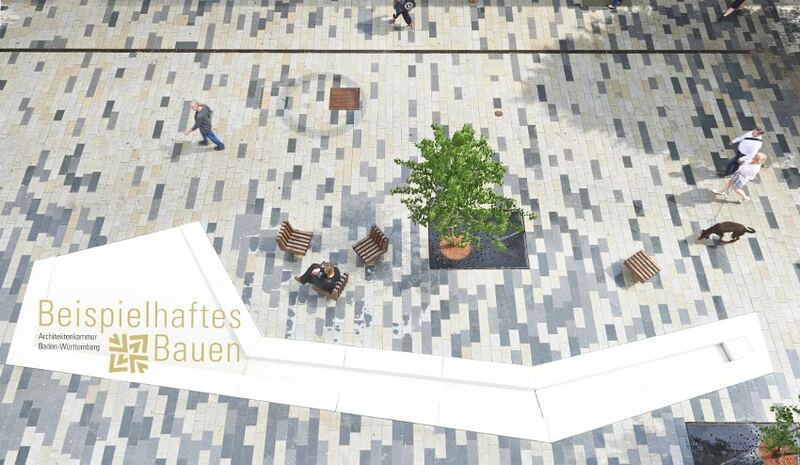 our pedestrian zone neue meile böblingen has been awarded with the architecture press release 2018 for urban design! 3rd prize . our competition contribution for the housing complex wa12 with a day care center in munich freiham in cooperation with fam and kofinkschels architects was awarded with the 3rd prize. official state visit . together with the austrian president a. van der bellen marie-theres okresek visits belgrade, serbia as the representative of the austrian architecture federation within the cultural delegation. gardening across generations . our urban development tools freiluftbox and freiluftmobil will finish the season on october 13, 2018. across generation experience in urban nature and building bridges to the new build neighborhood in freiham were the topics of our interventions in the district neuaubing-westkreuz, executed in cooperation with mgs - the munich society for urban renewal (photo d. michalek). landscape reading . 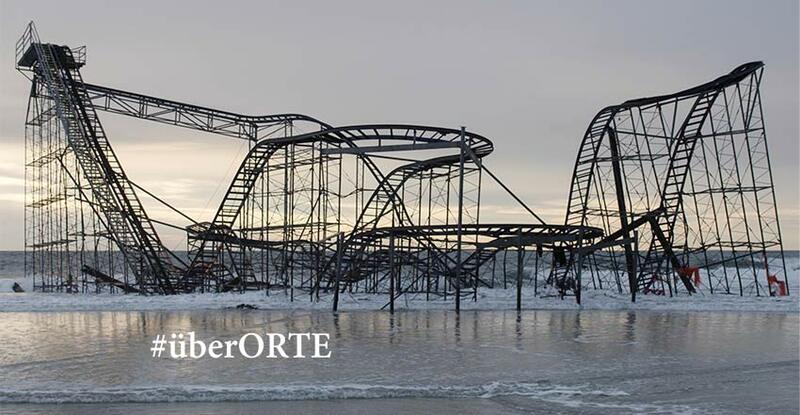 in the current edition of G+L (Callwey Verlag) we write about large scale impacts on anthropocene landscapes caused by human beings as a review of florian ottos visiting professorship and research project #überOrte at the university of kassel. lecture . as part of the conference „garden culture in transition“ by the austrian society for landscape architecture florian otto will talk about „those days will come where it helps to make a wish“. friday, october 5, 2018 House of Nature, Museum of Lower Austria , St. Pölten as from 10.30 am. advisory council innsbruck . 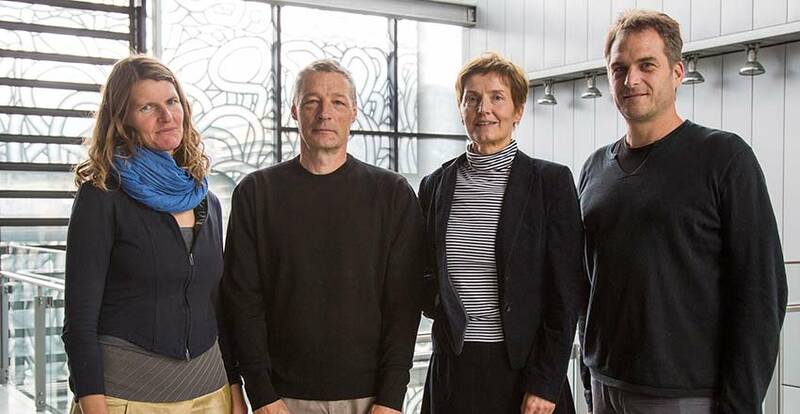 marie-theres okresek was welcomed together with Andreas Cukkrowicz as a new member of the advisory council innsbruck chaired by dieter Jüngling and anna popelka. (photo city of Innsbruck/Lercher). 2nd price . our contribution to the refurbishment of the village centers of rothenthurm, st.peter and wöll after tunnelling route s36 was awarded with the 2nd place. for the vacated space formerly cut by the main road we proposed a green infrastructure as common land with fruit farming, recreational activities and an access to the village creaks. southern stars . under this charming title we are invited by the association of german landscape architects to talk about wagnisART under the topic of participation and planning at the garden and landscape construction fair, nuremberg 2018. bdla-booth, 9/14 at 3p.m. future city europe . as part of the daad seminary future city europe on September 14, 2018 in gaggenau-bad rotenfels, marie-theres okresek is holding a keynote speech about participation and urban development. „time will come where you will dare to make a wish“ - under this topic the citizen’s autonomy will be discussed as well as integrative consultation processes that bear a great chance of positive branding of neighborhoods. innercity retention room . 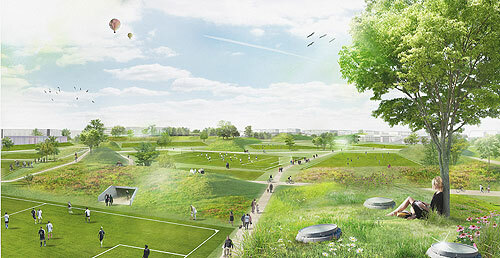 our contribution for platz der luftbrücke in berlin tempelhof as an ecological and social retention room was finalist in the same named competition. (l)on(e)ly wood strategy . 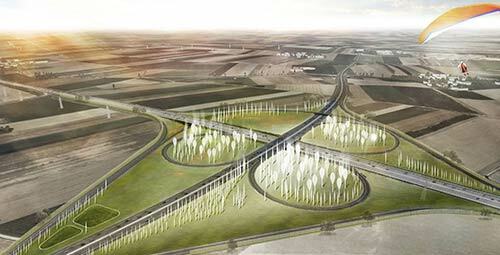 as part of iba thüringen we present our concept for the schwarza valley. on the occasion of a team excursion the first ). ( pioneers enter the territory. special award . yet another award for wagnisART. this time our project was awarded the honorary prize for excellent housing by the city of munich. since 1968 this special award encourages to develop new concepts and ideas for increasing quality in housing projects. playful landscapes . 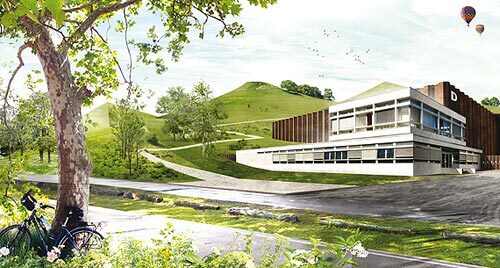 we are commissioned by the state horticultural show ingolstadt 2020 to design and build the hochbuckel recreation park in the north-west of ingolstadt. we develop a topographical landscape for the new urban district in cooperation with carve. future mobility . 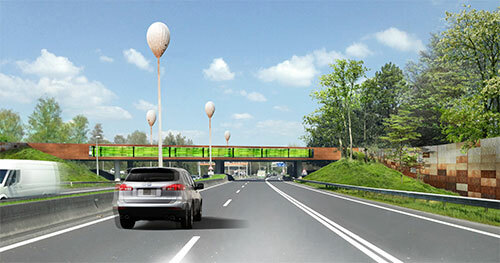 floating cable cars and bicycle highways as a vision for munich's frankfurter ring. our model for a future infrastructure is being presented by mrs. aigner minister of transport and by mayor mr. reiter. redesign of viktualien market . our efforts have been rewarded. 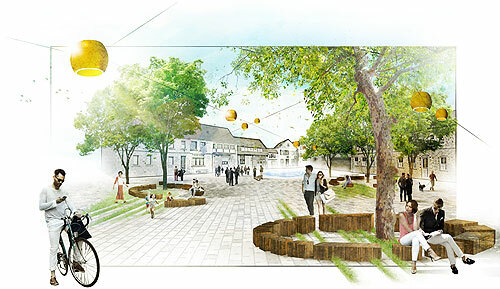 the concept for the renewal of viktualien market in collaboration with bogevischs büro was accepted by the city parliament of munich. the popular spot for many munich residents and tourists can now be refurbished respectfully and with care. upcycling . 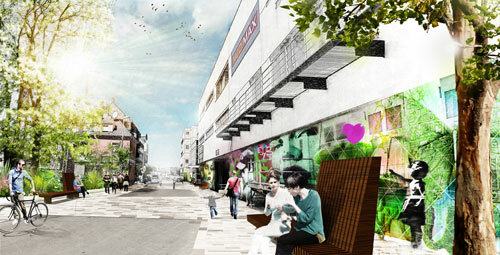 our concept for a pedestrian zone in wuppertal barmen was awarded with the 2nd price. with the intelligent use of recycling material, the visual extension thanks to a facade-to-facade pavement and dancing lights, one of the world's oldest pedestrian zones gets a new identity. IBA THÜRINGEN . we were invited to join the IBA Thüringen project schwarzatal. as one of four transdisciplinary teams we elaborate visions for the resilient development of the schwarza-valley. During the summer we will be scouting potentials for the landscape and its inhabitants. young styrian architecture . we are part of the transnational project yostar - young styrian architects with our cross-border bridge between bad radkersburg and gornja radgona. the first stop of the travelling exhibition is in austria. Opening on wednesday June 20, 2018 at the house of architecture in graz. a new dress for adelheid . 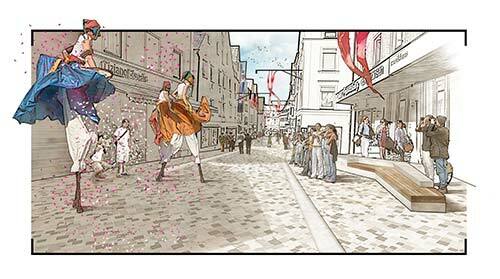 the consultation process for the refurbishment of st. adelheid square is starting in cologne neubrück. 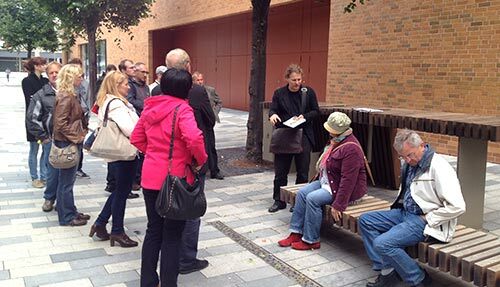 we discuss first ideas with the residents inside and outside the premises of deutschorden-wohnstift at straßburger platz. we look forward to comments, suggestions and local knowledge. district revitalisation . official opening of the freiluftbox season in the city development area munich neuaubing-westkreuz on wednesday, may 30, from 2 - 5 p.m.
focus on scandinavia . 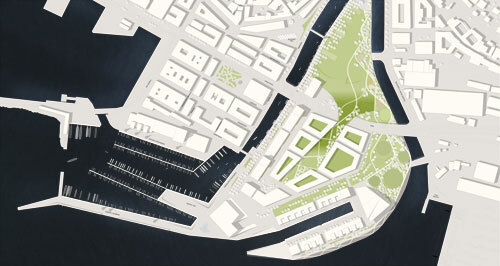 our proposal for a new waterfront in the harbour of helsinki was shortlisted by the jury of the international urban development competition. simultaneously florian otto visits norway with his students of the university of kassel in the course of his guest professorship in landscape aesthetics. Urban Development Day . bauchplan will be represented at this year's urban development day with the following projects:renewal of the city centre of wallenfels, design concept for Bodenseestrasse in munich, kennedywiese in puchheim and freiluftbox in munich neuaubing-westkreuz. bauchplan ). ( guides international students . 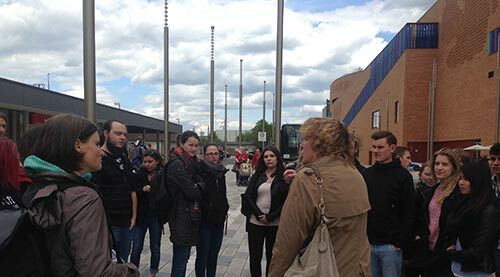 we organise a walk together with students of the universities of Weihenstephan, Prague and Kassel through our award-winning project wagnisart and provide the students with background informations about the project and consultation process. back to the water . our competition entry for the return of Stuttgart to the Neckar at the Neckar elbow in Bad Cannstatt unfortunately remained without acknowledgment. 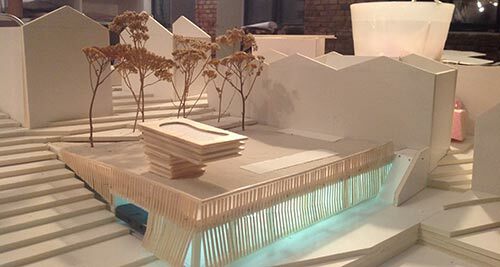 Nevertheless we continue to uphold our idea of a self cleaning "young river bank" as a counterpart to the "traditional waterfront" of the future neckarvorstadt-suburb. plattform baukultur . as a representative of ig architektur marie-theres okresek is a new member of plattform baukulturpolitk. the association focusses on the engagement to enhance and create the awareness of building culture where the responsible decision-makers have the most influence. rethinking the future . neue meile böblingen neue meile böblingen wins the 1st prize at the rtf sustainability award 2017 in the categorie landscape architecture. 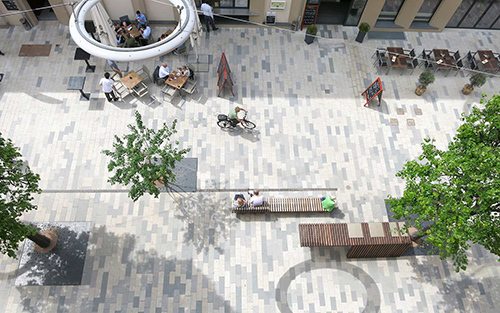 since spring 2015 the neue meile, now a public boulevard for pedestrians in an area that had been designed primarily for cars, has become a new backbone for public spaces in downtown böblingen. 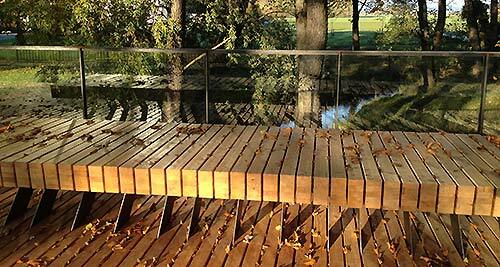 the design concept conceives versatility and cyclic continuation as intrinsic qualities of space. dam-award and architecture-yearbook . wagnisArt has been awarded with the dam-award 2018 of the german architecture museum, frankfurt. our cooperative housing project is also shown on the cover of the annual book of architecture 2018.
national german sustainability award . once more wagnisArt was awarded this time with the national german sustainability award in the category "sustainable construction - the best ideas for the future of our cities". the award ceremony of germany's most important architectural award for sustainability was taking place for the 10th time at a gala in düsseldorf. we understand the award for wagnisart not as the conclusion of a wonderful project but as the beginning of many more chances to contribute in numerous ways to the future of our cities. 3. prize . our contribution to the train station area herrsching am ammersee was awarded. we interpret the vacancy of the station as a prolongated living room for the locals as well as a meeting point for visitors of amemrsee. the closed down tracks are being transformed into a park for the neighborhood. 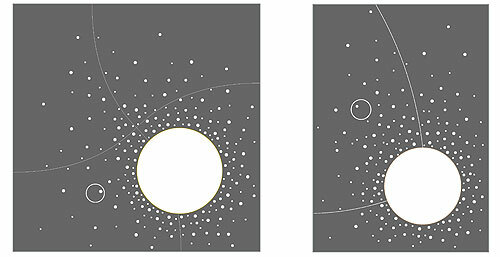 methods in the process of design . short presentation at the university of stuttgart im within the series "city and landscape" at the chair for urbanism: thuesday, 21.11. at 9.45 a.m.
2. prize . 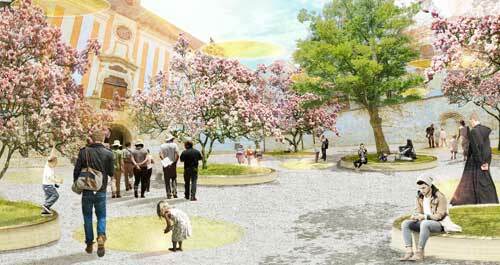 our proposition for a new city wall park for schongau was awarded with one of two equal prizes. we are glad and looking forward to the immersion into the next phase. building culture award . our project campus grafenau is being awarded: consisting of open air facilities, the campus for technology and a parking deck, the architectural setting is awarded with the prize for building culture of the ilzer land due to its sucessful concept of reactivation of town centers. exemplary implementation . 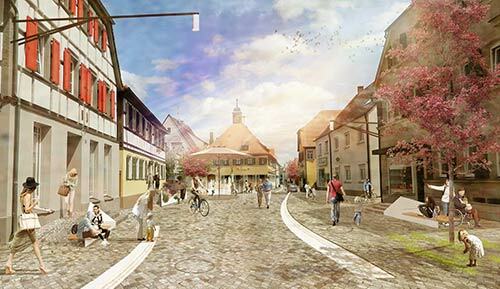 neue meile böblingen is being awarded by the chamber of architects baden-württemberg with the prize for exemplary implementation. 2nd prize . we receive the second prize for the urban planning design for posthöfe rosenheim together with leupold brown goldbach for the urban development area between the railway station and the Bahnhofstraße. prize award in berlin . we are pleased to receive the german landscape architecture award 2017 on september 29, 2017 in berlin. our cooperative projectwagnisART was awarded in the category participation and planning for its participatory approach. the award ceremony by the german association for landscape architecture takes place in the alliance forum at the brandenburger tor in berlin mitte. at home - on the roads . lecture and panel discussion within the conference of the baden-württembergischen architektinnen-tagung in stuttgart. on september 29, at the stuttgarter hospitalhof, büchsenstraße 33, marie-theres okresek talks about the process of creating identities in our mobile society. (re)activate . in the course of this year's ait-dialogue (ait salon of architecture with ace) in the north of hamburg we showcase the neue meile as a representative example of strategies for the revival of public space at böblingen. bundeled power . in the current issue of the swiss magazine anthos our article has been recently published about the potentials and risks of participation processes appropriate to the present situation. mission statement process . after our concept for the redesign of the public spaces of the lower part of landau we will proceed with the first round of participation. with the help of models and plans first ideas are presented on september 12. at 6 pm to the public and locals who are interested. visionary project viktualienmarkt munich . 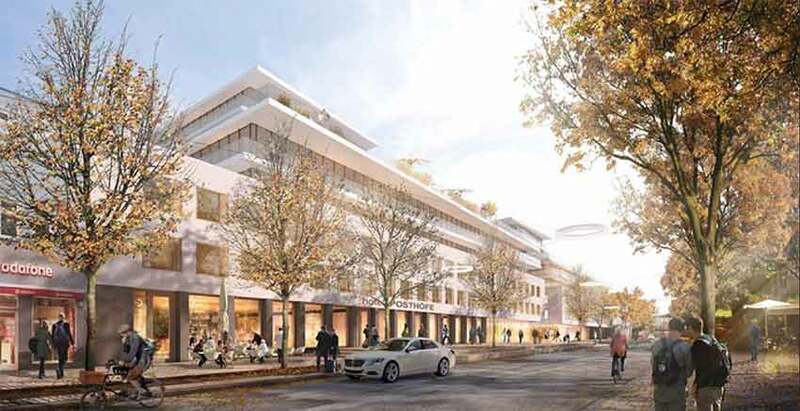 together with our planning partners bogevischs buero and brugdorff stadt we are developing the design concept to the viktualienmarkt on behalf of the provincial capital munich. beside that we are analogically and digitally directing the participating process. for further information please see our market information booth on site during opening hours tuesdays and thursdays from 2pm to 6pm. identity via foodstrategies . as an integrative urban development project in neuaubing-westkreuz, a city district of munich we are operating the outdoor box since this spring in cooperation with the local stadtteilladen. This friday we want to celebrate our successful project supported by the urban development funding starting at 5pm. architectours . as part of this years architectours of the bavarian chamber of architects a great interest was shown in our projects campus grafenau and wagnisART while the guided tours over the roofs of the demagk parc in munich with a great view over the bavarian woods in grafenau. fusion #überORTE . 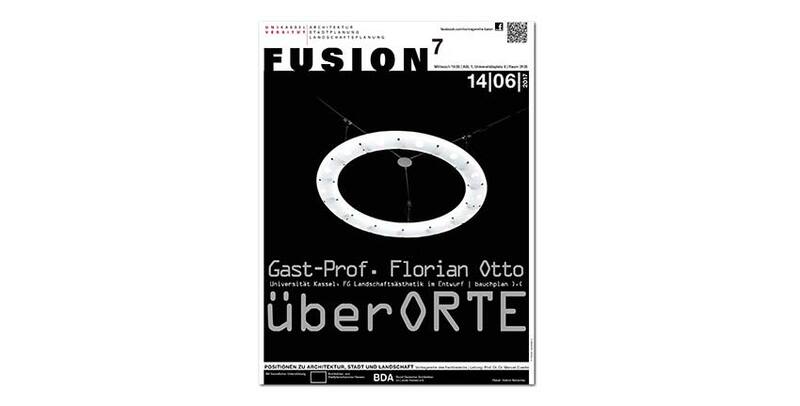 lecture of visiting professor f. otto at the university of kassel as part of the lecture series fusion. positionen zu architektur, stadt und landschaft on wednesday june 14, 2017 at 7pm at he asl-neubau, universitätsplatz 9, room 0106.
acknowledgment price for the entrance to the city weissenburg . together with leupold brown goldbach architekten we are winning an acknowledgment price for our concept to the entrance to city in the bavarian weissenburg. 2nd price kneipplandscapes . 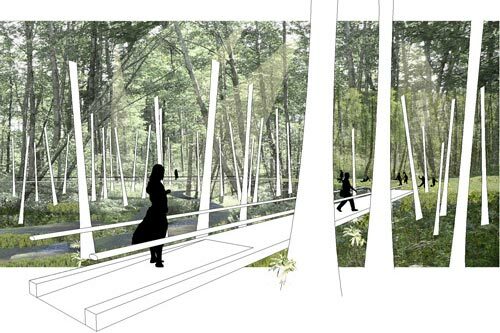 our concept for extending the campus of kneipp, developed together with srap architects was awarded. the landscape turns into an accessible identity. magazin#1 neue meile . a magazine documents our participatory approach and the implementation of the construction of our böblinger fussgängerzone (isbn 978-3-00-055852-8). outdoor box in the district developing zone . as a branch of our freiluftsupermarkt münchen freiham we run an freiluftbox on behalf of the munich society of urban renewal and in cooperation with stadtteilladen neuaubing-westkreuz it is conceived as an integrative district development project.the opening will take place on 19.5.2017 at 2pm. infrastrukturlandschaften in norwegen . auf einladung der staatlichen norwegischen strassenverwaltung referieren wir über unsere aktuellen strassenbauprojekte unter dem blickwinkel der postfossilen mobilität in bergen, norwegen, am fachtag für landschaftsarchitektur. choreographie fussgängerzone . 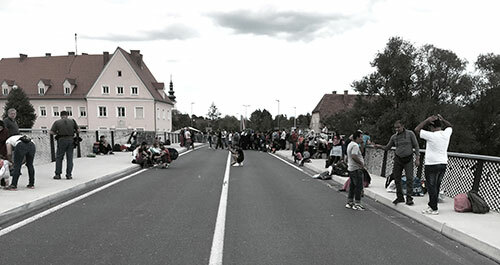 im zuge eines realisierungswettbewerbes erarbeiten wir einen vorschlag für die neugestaltung der fussgängerzone in ‎kaufbeuren als zeitgemässer stadtraum im historischen kontext und träger für alltag und event. auf der suche nach öffentlichkeit . im rahmen der grünbau 2016 in berlin sprechen wir auf dem grünbau:talk “zukunft stadt" zum thema fussgängerzonen und öffentlichkeit. organisation und information garten+landschaft, callwey verlag, münchen. auszeichnung baukultur . landLuft und das architekturforum allgäu e.v. haben die von AL1 architektinnen und bauchplan ). ( begleiteten, langjährigen baukulturellen bemühungen der allgäuer gemeinde holzgünz mit dem gemeinde-baukulturpreis 2016 ausgezeichnet. transforming identity . bauchplan ). ( gastiert mit einem vortrag an der tu kaiserslautern, fachbereich architektur. starke orte . bauchplan ). ( diskutiert bei der abendveranstaltung "freiraum und dichte: strategien, potenziale, positionen" im rahmen der jahresausstellung "freiraum 2030 - ein neues freiraumkonzept für münchen" des münchner planungsreferats. 25.01.2016, 19uhr, rathausgalerie münchen. nominierung staatspreis baukultur . die baukulturinitiative baiersbronn ist für den baden-württembergischen staatspreis für baukultur nominiert. im rahmen des kooperativen workshopverfahrens waren wir teil der ideenkonkurrenz "unserdorf" im team mit 711lab, link verkehrsplanung und amunt architekten. wir freuen uns auf die fortsetzung des teilhabe-prozesses! ein prototyp moderner strassenbeleuchtung . so betitelt die bayerische staatszeitung in der aktuellen ausgabe unseren lichtring, entwickelt für die neue meile böblingen. den artikel gibt es auch auf unserer facebook-seite zum nachlesen. unendliche weiten . bauchplan ). ( gastiert im studio moderne stadt, professor kappler und professor künzel, an der hochschule münchen zu einem werkvortrag: donnerstag, 10. dezember 2015 ab 15:00 uhr, fakultät für architektur, clemensstrasse 33, raum 103.
up-cycling erlbach . mit dem gemeinderat von markt erlbach starten wir in den diskussionsprozess zur umgestaltung der hauptstrasse. wir sind yova . im rahmen der ausstellung "vievien" geben wir gemeinsam mit drei weiteren young viennese architects - yo.v.a - mit einem werkvortrag einblicke in prototypische gestaltungsprozesse des kollektivs bauchplan ). ( - donnerstag, 19.11. ab 18.00 uhr in der wiener planungswerkstatt. arbeiten im netzwerk . ein interview zur bauchinternen arbeitsweise im kollektiv ist in der aktuellen ausgabe der fachzeitschrift garten + landschaft, callwey verlag, veröffentlicht. das komplette interview als pdf zum nachlesen. merkzeichen für böblingen . ein weiterer artikel über die tanzenden lichtringe der neuen meile ist im aktuellen freiraumgestalter 15/02, ulmer verlag, erschienen. ausserdem findet sich ein video zum produktionsablauf in der leuchtenmanufaktur bergmeister auf youtube. blindenleitsysten . wir entwickeln ein gestalterisch integriertes blindenleitsystem für die neue meile in böblingen. metallstege aus einer bronze-legierung, gefalzt und in den bestehenden stadtboden eingesteckt, akzentuieren das fugenbild unseres pixelparketts und bereichern optik sowie barrierefreiheit in der einkaufsstrasse. wir freuen uns auf eine erste testphase im böblinger strassenraum! erntezeit . nach der kartoffelernte am münchner versuchsfeld verabschiedet sich auch der wiener freiluftsupermarkt mit einem erdäpfel-fest in die winterpause. vorerst letzte chance also für enrtewillige und entdeckungslustige am 21.10. ab 15.00uhr, scherbangasse 3 in 1230 wien! landschaft leben . bauchplan ). ( spricht am 8.weihenstephaner forum für landschaftsarchitektur am 17.10. ab 10.00uhr am campus tum weihenstephan, emil-ramann-str.6, 85354 freising, raum u1. kooperatives verfahren . bauchplan ). ( ist für das kooperative verfahren zum oberen hausfeld in wien ausgewählt. wir freuen uns auf spannende diskussionen und die möglichkeit ein wiener stadtentwicklungsgebiet mit einer grösse von 26ha massgeblich mit zu prägen. naturpark-reaktivierung . das neue erlebniskonzept für den naturpark jauerling mit aufenthaltselementen, langer tafel, gipfelring und panoramaterrasse von bauchplan ). ( wird feierlich eröffnet. wir freuen uns auf eine gemeinsame herbstwanderung an der höchsten erhebung entlang der donau. autobahn redesign . unser neugestaltungsvorschlag zu lärmschutzmassnahmen und beleuchtung im sinne eines einheitlichen corporate designs der linzer autobahnen wurde mit dem 2.preis ausgezeichnet. willkommenskultur . grenze als ort - brücke als gelenk plötzlich im zentrum: schutzsuchende überqueren die mur zwischen gornja radgona (si) und bad radkersburg (a). unsere brücke wird erneut ort bewegender geschichte. photo © h.mayerhofer. ausstellungseröffnung Yo.V.A. 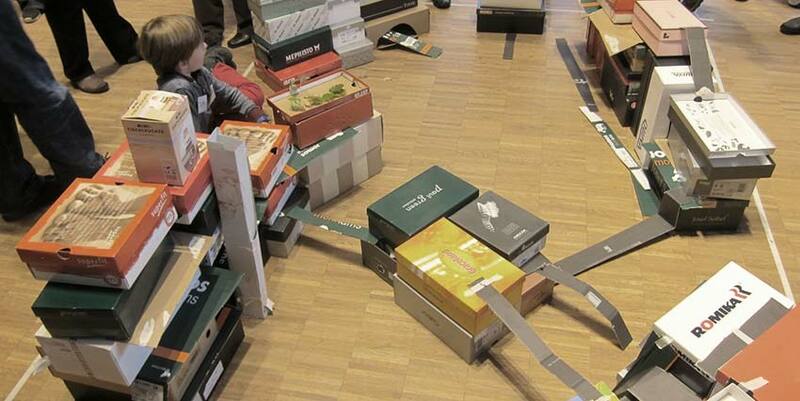 als mitglied der young vienesse architects 4 (Yo.V.A.) sind wir mit einem beitrag in der ausstellung "viewien - architektur entdecken" in der wiener planungswerkstadt , friedrich-schmidt-platz 9, vertreten. eröffnung am 10.09 ab 18 uhr mit vizebürgermeisterin m. vassilakou, stadträtin für stadtentwicklung. ringleuchten auf pixelparkett . unsere flaniermeile in böblingen wird in der rubrik praxis von german-architects veröffentlicht. baukultur-prozess . im team mit 711lab, amut architekten und link verkehrsplanung sind wir zur teilnahme am kooperativen workshopverfahren "unserdorf" in der baukultur-gemeinde baiersbronn ausgewählt. zauberberg . 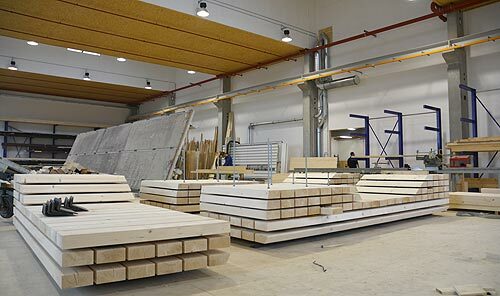 wir präsentieren unseren entwurf für den künftigen campus grafenau im gemeinderat und diskutieren über spezifischen holzbau, unterkonstruktionen und freiheitsgrade. die presse betitelt unsere arbeit mit "zauberberg". coverstory . die umgestaltung der böblinger bahnhofstrasse zur neuen meile ist kurz nach fertigstellung bereits titelgeschichte des fachmagazins "garten + landschaft", callwey verlag, münchen, in der juli-ausgabe 2015 mit dem schwerpunkt material. marktplatzumfeld . unser - in kooperation mit eyland07 ausgearbeiteter - vorschlag zur neugestaltung des marktplatzes in neustadt bei coburg wird mit einer anerkennung ausgezeichnet. nutrivision – die zukunft der lebensmittel ist das thema des 3. schülerkongresses am willstätter gymnasium in nürnberg. bauchplan ). ( stellt „agropolis – die wiederentdeckung des erntens im urbanen alltag“ und "freiluftsupermarkt" vor: welchen beitrag kann die verknüpfung von lebensmittelkreisläufen und zukunftsfähiger stadtplanung über die modeerscheinung des urban farming hinaus leisten? baukultur . gemeinsam mit unseren partnern al1 architektinnen und den gemeindevertretern präsentieren wir unsere moderierten eigenbauten in der gemeinde holzgünz beim baukulturpreis 2016 der bundesstiftung baukultur. stadtspaziergang . zum planungsauftakt unseres projektes upcycling markterlbach unternehmen wir mit interessierten vertreterInnen des markterlbacher gemeinderats einen spaziergang durch die neue meile inklusive intensivem erfahrungsaustausch mit der böblinger stadtverwaltung. bee free at forbidden zone . mit unserem ausstellungsbeitrag "a collection of honey // a collection of voices" sind wir auf dem grundsteinfestival in wien vertreten. vernissage am 20.6. ab 18.00 uhr im projektraum der grundstein architektInnen, grundsteingasse 14.
freiluftsupermarkt . 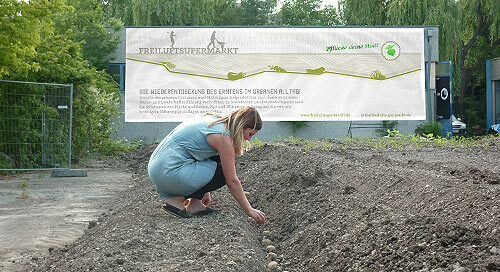 basierend auf den grundgedanken unseres projektes agropolis münchen - die wiederentdeckung des erntens im urbanen alltag treiben wir im verbund mit lokalen partnern die prototypen unseres freiluftsupermarktes voran. buchpräsentation Yo.V.A . gemeinsam mit zehn weiteren "jungen" architekturschaffenden kollektiven wiens sind wir in der veröffentlichung der stadt wien zu den "young vienese architects 4plus" vertreten. wir freuen uns auf die präsentation mit vizebürgermeisterin m. vassilakou am mittwoch, den 27.05.2015, ab 18.00 uhr im atrium des wien museums, karlsplatz 8, anschliessend gibts ab ca. 21 uhr ein grosses Yo.V.A-fest! wunschbox . für den campus am stadtberg in grafenau werden im dialog mit den bürgerInnen grafenaus nutzungen gesucht, die das quartier beleben und das akademische mit dem täglichen leben in der stadt verbinden: 18uhr im bürgersaal, rathaus grafenau. eröffnung neue meile . anfang mai ist es soweit: die stadt böblingen eröffnet nach 14 monaten bauzeit ihre neue meile mit zwei festtagen und umfangreichem rahmenprogramm. wir freuen uns auf ein bad im fontänenfeld und hoffen auf entsprechendes wetter. buchpräsentation nextland . in der bunkerei im wiener augarten präsentieren die herausgeberInnen lilli lička und karl grimm gemeinsam mit der vizebürgermeisterin maria vassilakou ihr buch zur zeitgenössischen landschaftsarchitektur in österreich, erschienen im birkhäuser-verlag. wir sind vertreten mit unserem innenhof in der renngasse, dem kleinsten garten wiens und unserer brücke zwischen bad radkersburg und gornja radgona: bunkerei augarten, a - 1020 wien, obere augartenstraße 1a ab 18.00 uhr. akademischer diskurs . gemeinsam mit bürgermeisterin christine kraayvanger führen wir studierende der hochschule nürtingen, prof. birgit kröninger, durch die neue meile in böblingen. jauerling wächst . die möblierung des naturpark jauerling wächst unter grossem einsatz lokaler betriebe mit vor ort entnommenem holz. wir warten voll vorfreude auf die ergänzung des neuen erlebniskonzeptes und die rückkehr ins gelände. entdeckungsreise in historischen gefilden . unser konzept für die erlebniswelten von schloss, stift und markt zur landesgartenschau kremsmünster 2017 wird mit dem 2. preis ausgezeichnet. brain and muscle . die landschaft des campusareals eines sport- und lifestyle-artikelherstellers wird als funktional durchgängiger und repräsentativer träger basierend auf bewegungsabläufen und kommunikativen zentren neu qualifiziert. fünfte fassade . als grundlage des parzitipativen gestaltungsprozess der fussgängerzone in der von historischen fassaden geprägten innenstadt ingolstadts entwickeln wir einen mit fassaden und nutzungen interagierenden bodenbelag, der das historischen ensembles zusammenspannt. umzug . ab sofort finden sie unsere münchner werkstatt in obergiesing in der severinstrasse 5, rückgebäude, 2. stock. metropolitan ideas . agropolis zu gast im creative spot bei kochan & partner in der hirschgartenallee 25 zum diesjährigen leitthema „metropolitan ideas“ der munich creative business week. id:nature . vorankündigung für einen bauchvortrag an der bayerischen akademie für naturschutz und landespflege in laufen anlässlich der fachtagung"unternehmen natur = chance stadtnatur". modellquartier muthgasse . im kooperativen verfahren zum stadtquartier muthgasse in wien heiligenstadt ist bauchplan ). ( zum hearing geladen. kläranlage als park . am stadteingang zu lausanne soll eine bestehende kläranlage zwischen seeufer und autobahn wegen der geruchsbelästigung für ein neues wohnquartier eingehaust werden. wir schlagen vor die topographie der landschaft fortzführen und den uferpark barrierefrei an das stadtquartier anzubinden. fussgängerzone münchen. im rahmen der ausstellung „innenstadt weiterdenken – pläne und positionen für münchen“ nehmen wir an einem workshop zur zukunft der münchner fussgängerzone auf initiative von e. merk, m. petzet und m. wellner teil. campus grafenau . wir präsentieren unseren vorentwurf zum neuen platz im ortszentrum von grafenau im bayerischen wald im dortigen gemeinderat. lichtring bau15 . die firma bergmeister leuchten die lichtplaner lumen 3 präsentieren im bauzentrum münchen anlässlich eines abendformums zum thema licht unseren für die neue meile böblingen entwickelten lichtring auf der bau 2015. bauzentrum münchen, willy-brandt-allee 10, abendforum licht ab 16.00 uhr. wiesen-grund-buch . wir präsentieren das wiesen-grund-buch, unsere potentialstudie zur rednitzaue im stadtgebiet erlangens im bauausschuss. gepflanzt . die von uns in einer baumschule bei berlin ausgesuchten bäume sind in böblingen angekommen und sofort verpflanzt worden. das vegetationskonzept wird ergänzend zu den bestehenden linden die geradlinigkeit der neuen meile auflockern und durch blühaspekte sowie herbstfärbung spezifische jahreszeitliche atmosphären in die neue fussgängerzone zaubern. veröffentlichung . gemini + ist in der aktuellen ausgabe der niederländischen architekturzeitschrift a10 - new european architecture gleich zweimal vertreten: unsere planungspartner grundstein architekten präsentierten das projekt im rahmen des wiener fightclubs; zudem erschien eine zusammenfassung des diesjährigen wettbewerbs `das beste haus´ durch das architekturzentrum wien. auszeichnung für veloroute . für den künftigen radweg zwischen brig und visp im schweizerischen wallis arrangieren wir in arbeitsgemeinschaft mit k. bachmeier-littaru in einem upcycling-prozess materialrückstände aus kultur und landschaft zu einer neuen identität des langsamverkehrs. im offenen wettbewerb erhalten wir für unser konzept den 2. preis. yo.v.a. plus . bauchplan ). ( ist ausgewählt für eine veröffentlichung im zuge von yo.v.a (young vienese architects) der stadt wien, birkhäuser verlag, frühjahr 2015.
neue meile . der erste bauabschnitt der bahnhofsstrasse in böblingen erscheint in neuem licht. bis frühjahr 2015 werden schritt für schritt die ergebnisse der intensiven entwicklungsphase mit zahlreichen abstimmungen, moderierten beteiligungsworkshops, exkursionen und bemusterungen umgesetzt. als bindeglied zwischen bahnhof und altstadt übernimmt die neue meile künftig eine trägerfunktion für die öffentlichen räume der böblinger unterstadt. in den weiteren umsetzungsschritten begleiten wir die neuinterpretation der nebenstrassen des quartiers. best of austria . veröffentlichung für gemini+ im rahmen des jahrbuchs des architekturzentrum wiens. präsentation im azw ab 19uhr. gemeindeplattform . die ortsmitte nufringen (d) transformieren wir in unserem wettbewerbsbeitrag gemeinsam mit raumspielkunst zu einer zukunftsfähigen, nach bedarf schaltbaren gemeindeplattform. transdanubien . für die wagramer strasse und den angrenzenden czernetzplatz im 22. wiener bezirk formulieren wir eine neue identität zwischen infrastrukturraum, wohnumfeld und quartiersplatz als reaktion auf heterogene masstäblichkeiten und geschwindigkeiten. brücke als park . für die nachnutzung eines existierenden brückenbauwerks vor der porta garibaldi, mailand (it), entwickelten wir einen neuen zeitlayer als stadtwald. die brücke als park ist pause in einer technoiden infrastrukturlandschaft und fusszeile eines neuen stadtquartiers. sie verbindet lange jahre getrennte stadtquartiere fussläufig und bietet lokalen aktueren eine abfolge von lichtungen zur temporären inbesitznahme. als grüne lunge zum abschluss der nördlichen frischluftschneise entlang der bahntrasse leistet sie einen wichtigen beitrag zum stadt- und microklima. ausgewählt aus 118 wettbewerbsbeiträgen sind wir unter den 10 finalisten. teilfertigstellung und ausflug . anlässlich der eröffnung der mercaden in böblingen feiert auch die neue meile eine erste teilfertigstellung! wir feiern mit und sind deshalb am 1. und 2.10. nur eingeschränkt in unseren studios in münchen und wien zu erreichen. neue sichtweisen . für den zweiten realisierungsabschnitt in der böblinger unterstadt präsentieren wir unseren entwurf im gemeinderat: eine vormalige anlieferzone mit rückseitencharakter wird zum eigenständigen stadt-dschungel mit aufenthaltsqualität - natürlich unter beibehaltung der andienenden basisfunktionen. grundstein . die genossen des münchner wohnbauprojektes wagnis art feiern mit uns den baubeginn. der bezug des ambitionierten beteiligungsprojektes ist für ende 2015 geplant. wiesen-grund-buch . die regnitzaue ist mit 770 ha der mit abstand grösste freiraum in erlangen. die potenzialstudie zum wiesengrund analysiert vorhandene flächenwidmungen und stellt ansprüche unterschiedlicher akteure in einem kartenwerk zusammen. In der überlagerung mit bestehenden konflikten werden potenziale für eine künftige entwicklung aufgezeigt. strategische interventionen bilden den ausgangspunkt für einen prozess, der unterschiedliche bereiche von stadtkultur in diskurs und umsetzung begleitet. das erlanger wiesen-grund-buch dokumentiert diese studie. rückgrat . für erbach (d) entwickeln wir in einem wettbewerbsbeitrag ein urban-rurales rückgrat zwischen bach und hauptstrasse als trägerstruktur der künftigen dorfentwicklung. bemusterung ringleuchte . 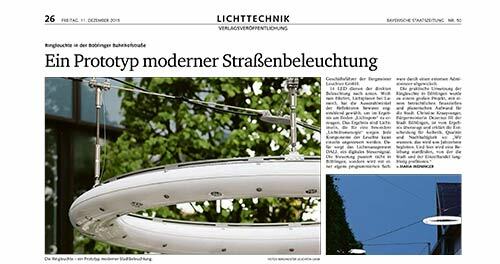 bergmeister leuchten hat den prototypen unseres led-leuchtrings für die neue meile böblingen fertiggestellt. die produktiom der serie läuft an. kulturhauptstadt . für den zentralen platz in plovdiv (bulgarien) entwickeln wir eine platzoberfläche aus dem verschnitt des modernen mit dem antiken stadtraster. die zeitfenster der römischen ausgrabungen rahmen den stadtraum als trägerstruktur für die bewerbung zur europäischen kulturhauptstadt 2019.
freiraumwohnzimmer . für den ehemaligen viehmarkt in der hammelburger altstadt (d) entwerfen wir ein urbanes freiraumwohnzimmer als bindeglied zwischen den öffentlichen anforderungen an den innerstädtischen platz und den atmosphärischen wünschen der künftigen nutzer. architekturspaziergang . im rahmen eines architektonischen stadtrundgangs führen wir gemeinsam mit unserem partner vor ort, fabrice henninger von raumspielkunst, interessierte durch die entstehende neue meile in der böblinger unterstadt. terrasse mit aussicht . der aussichtspunkt am naturparkhaus des jauerling (a) erhält eine neue panoramaterasse. der spektakuläre ausblick definiert ein ziel des neuen erlebnisweges am höchsten gipfel entlang der donau. wieder dritter . im team mit r. rissland, eyland 07, wird unser vorschlag zum neubau eines tierheims in neufahrn (d) mit einem 3. preis ausgezeichnet. auf tour . gemini+ ist mit der ausstellung das beste haus in tulln zu sehen im minoritenkloster vom 28.5. bis 4.7., vernisage mit werkvortrag am 27.5. ab 19uhr. dicht säen . bauchplan ). ( beteiligt sich mit agropolis münchen, raumspielkunst und 711lab im rahmen der fachtagung dicht säen - streit ernten? instrumente der stadtentwicklung - an der 6. architekturwoche des bund deutscher architekten vom 16-24.5.2014.
lichtring . 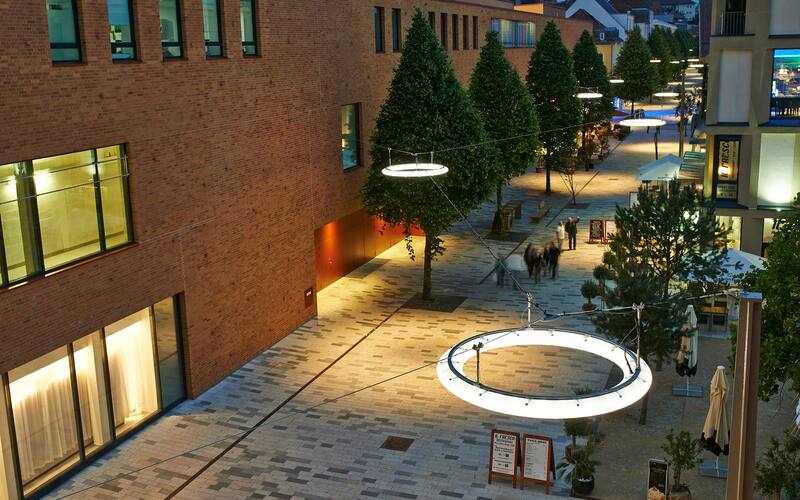 in kooperation mit den lichtplanern lumen 3, münchen, entwickeln wir für die neue meile in böblingen led-ringleuchten, die künftig von den fassaden frei abgehängt durch den öffentlichen raum der unterstadt tanzen. die lichttechnisch optimierte leuchte prägt das zeitgemässe erscheinungsbild der neuen fussgängerzone und ist für veranstaltungen im öffentlichen raum variabel adjustierbar. hohe ausleuchtungsgrade maximieren die ökonomische nachhaltigkeit und leisten einen beitrag zur reduktion der innerstädtischen lichtemission. produktentwicklung . in kooperation mit der niederländischen ausstattungsfirma anae starten wir für die neue meile in böblingen mit der spezifischen produktentwicklung. asymetrische baumscheiben in neuartiger segmentierung mit modellen für bestandsbäume sowie neupflanzungen machen den auftakt. bauch am podium . anlässlich einer podiumsdiskussion im rahmen der ausstellung wig64, die grüne nachkriegsmoderne, im wienmuseum, diskutieren wir am 29.4. ab 18.30 uhr über städtische parks im 21. jahrhundert. 3. preis . im team mit r. rissland, eyland 07, wird unser vorschlag zum umbau des schulzentrums in schramberg (d) mit einem preis ausgezeichnet. künstlergespräch . im rahmen unserer gemeinschaftsaustellung mit alexander kraut lädt die bayerische akademie der schönen künste in der münchner residenz zu einem dialog am bison. mit c. valentien und a. dworsky diskutiert bauchplan ). ( ab 17 uhr landschaftsarchitektur zwischen natur, kunst und stadtkultur . bayerische akademie der schönen künste, münchner residenz, residenzstrasse 1.
spatenstich in böblingen . die neue meile böblingens nimmt gestallt an - der offizieller spatenstich für die tiefbaumassnahmen des ersten bauabschnitts erfolgte gemeinsam mit stadtverwaltung und mitgliedern des gemeinderats. energielandschaften . auf basis unseres wettbewerbbeitrags entwickeln wir für die asfinag (betreiber der östereichischen autobahnen und schnellstrassen) ein konzept für die landschaftsgestaltung der geplanten s34 traisentalschnellstrasse. 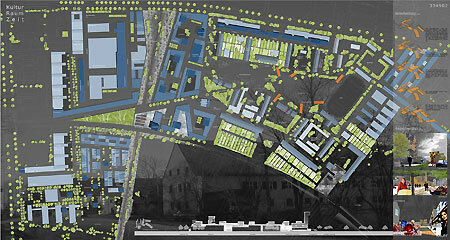 quartiersstudie aspern . gemeinsam mit franz denk, wien, untersuchen wir in einer klassischen studie für wien 3420 das quartier entlang der ubahn-hochtrasse hinsichtlich städtebaulicher potentiale für künftige bau- und freiraumstrukturen. turn-on . wohnen im experiment . im rahmen des diesjährigen turn-on architekturfestivals stellen wir im dialog mit karoline mayer, architekturzentrum wien, unsere wohnlandschaften gemini+ im orf radiokulturhaus zum auftakt einer ausstellung der besten häuser 2013 vor. freitag, 7.3.2013 ab 16.15 im grossen sendesaal bei freiem eintritt. umzug . ab kommenden montag finden sie unser wiener studio in der ehemaligen klavierfabrik parttart in wien-atzgersdorf. 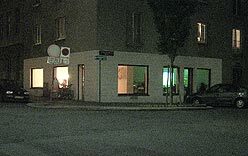 endresstrasse 18 - rückgebäude, 1230 wien. dazwischen . bauch in der jury zum interdisziplinären aufruf zu stadtinterventionen in nürnberg, fürth und erlangen anlässlich der architekturwoche a6, ausgelobt und veranstaltet durch den bund deutscher architekten, landesverband bayern. 4. preis . im team mit eyland 07, nürnberg und dekleva gregoric arhitekti, ljubljana, erhalten wir eine auszeichnung für unseren wettbewerbsbeitrag zum studentischen wohnen an der giggenhauser strasse in freising. bahnhofsplatz mödling . 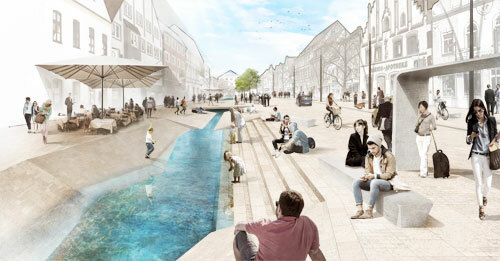 mit hertl architekten (steyr) kooperieren wir für ein geladenes wettbewerbsverfahren zum bahnhofsplatz inkl. neubau eines bürohauses in mödling (a). gleispark braunschweig . mit raumspielkunst und 711lab, beide stuttgart, schlagen wir für das nördliche ringgebiet in braunschweig (d) eine entwicklung vom industrieareal zum gmischten stadtteil geprägt von der trägerstruktur des atmosphärischen gleisparks vor. city as a promenade . für den neuen hafenstadtteil im kroatischen rijeka (hr) erarbeiten wir einen städtebaulichen vorschlag, der die lagequalitäten zwischen küste, altstadt und park in einem wohn- und geschäftsquartier mit hochwertigen freiraumbezügen zusammenbringt und die laufmeter der öffentlichen promenaden maximiert. hahnplatz prüm . für den hahnplatz in prüm (d) entwickeln wir gemeinsam mit micheller und schalk, münchen, in einem geladenen wettbewerbsverfahren ein multifuntionales vorfeld der ortsbild-prägenden basilika am topographisch bewegten platz. hannover herrenhausen . heimat utopie - ein brunnen im gartentheater von hannover herrenhausen (d) ist in kooperation mit kuratorin loeonore leonardy in freeLounge 3/2013 publiziert. habituelle landschaften . bauchvortrag von f. otto an der technische hochschule nürnberg bei prof. nadja letzel. aufruf zum warten . bauch in der jury zum landschaftsarchitekturpreis 2014 der österreichischen gesellschaft für landschaftsplanung und landschafsarchitektur. haus der kunst . bauchplan ). ( im team agropolis münchen zu gast beim festival of indemendents. stadtbach . für die hauptstrasse in freising (d) entwickeln wir eine neue choreographie entlang der wieder geöffneten moosach als urbanem stadtbach. publikation material und oberfläche . unsere wohnlandschaften gemini+ sind jetzt auch im aktuellen detail 11/2013 veröffentlicht. ausserdem ist der lehmboden aus gemini+ jetzt im baunetz wissen archiviert. sport-park-landschaft . im rahmen einer mehrfachbeauftragung für den entwicklungsplan ludwigsburg oststadt (d) schlagen wir im team mit raumspielkunst, 711 lab und link verkehrsplanung eine integrative sport-park-landschaft vor. in unserem konzept design by noise entsteht eine trägerstruktur für das künftige stadtquartier, die als urbaner möglichkleitsraum die nutzungsüberlagerung von angeboten für freizeitsuchende und leistungssportler, sowie zugehörige lärmschutzmassnahmen in einer neuen landschaftstypologie zusammenführt. 2. preis . im team mit hopfwieser architekten und tom tschöll erhalten wir beim geladenen wohnbau-wettbewerb zum lazarettgürtel in graz eine auszeichnung. donaublicke . vorankündigung: im rahmen der internationalen naturparkfachtagung präsentieren wir unser mit tourismusdesign erarbeitetes konzept für eine spielerische entdeckungswanderung am gipfelplateau des jauerlings im gleichnamigen naturpark (a). bemusterung . für den böblinger gemeinderat bemustern wir den künftigen stadtboden der neuen meile in 1:1 und stellen unseren entwurfsstand zur diskussion. 3. preis . für unseren vorschlag zur künftigen bahnhofsstrasse in murnau (d) erhalten wir mit AL1 architektinnen eine auszeichnung. bauch in südkorea . im rahmen einer konferenz zu urban agriculture in daegu präsentieren wir für das team agropolis unseren projektstand zu agropolis münchen, die wiederentdeckung des erntes im urbanen alltag. individuen im kollektiv . wir entwickeln ein konzept für eine urnenanlage am westfriedhof im rahmen eines workshopverfahrens der landeshauptstadt münchen. aus dem preisgerichtsprotokoll dazu: der ansatz von bauchplan ). ( basiert auf einer kritischen analyse der gegenwärtigen gesellschaftlichen entwicklungen und tendenzen im hinblick auf die trauerkultur und ist damit in die zukunft gerichtet. ... hervorzuheben ist die arbeit von bauchplan, die aufgrund ihres zukunftsweisenden ansatzes bei künftigen friedhofsprojekten aufgegriffen werden sollte. wohnlandschaften . mit soma architekten beteiligen wir uns am wettbewerb zur wohnbebauung saalachstrasse in salzburg. wagnis art . im domagk-areal münchen (d) entwickeln wir mit auböck/karasz und den planungsgruppen der genossen der wohnbaugenossenschaft wagnis über einen grundpartizipativen entwurfsansatz in mehreren workshops einen spielerischen zugang für die gestaltung der vielfältigen freiräume des neuen wohnquartiers (architektur: bogevisch mit schindler/hable). grenzland-tour und einweihung . mit vielen mitwirkenden an den info- und rastobjekten zum radweg alpen-karpaten-korridor (12 akk) beradeln wir die grenze entlang der march bei hohenau, eröffnen mit den vertreterinnen der gemeinde und des weinviertelmanagements unseren beitrag und lassen es uns anschliessend beim kellerbergfest gut gehen. wir freuen uns in jedem fall auf eine grosse beteiligung! neue meile. 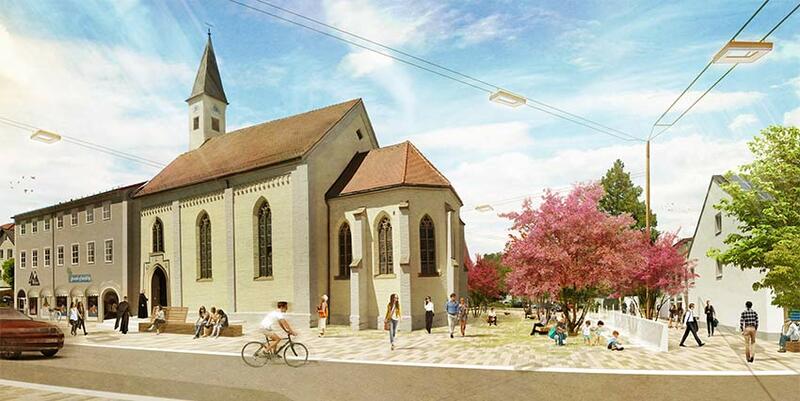 wir präsentieren unseren vorentwurf zum projekt bahnhofsstrasse böblingen nach intensiven abstimmungen mit vielen projektbeteiligten in den entsprechenden gremien der stadt und hoffen auf eine baldige umsetzung. brücken spannen . für den neuen flussraum in kamen entwickeln wir ein konzept der stadtteilvernetzung über die renaturierte seseke hinweg. lamm in freiham . bei einem arbeitspicknick vor ort in freiham sucht bauchplan im team agropolis in zusammenarbeit mit raumlabor berlin gemeinsam mit der stadtverwaltung und weiteren münchner akteuren nach zielen und wegen für eine initialstadt des werdenden stadtteils zwischen kultur und agrikultur. 1. preis ex aequo . im wettbewerb zur s34 - traisental-schnellstrasse wird unser beitrag der energielandschaften mit einem ersten preis ausgezeichnet. keine blumen für godelmann. bauchplan ). ( entwickelt ein schaugartenkonzept für godelmann am neuen standort in kirchheim/teck mit dem ziel einer neuen poesie des kunststeins. die überdimensionierte blumenwiese wird leider nicht realisiert. bauch auf exkursion . bauchplan ). ( exkursionierte mit den mitgliedern des gemeinderats böblingen nach albstadt. ziel war die in-augenschein-nahme des dortigen innenstadt-umbaus inklusive bemusterung der natursteinflächen und meinungsbildung zur schwerpunkt-findung in der weiteren umsetzung. bauch in herrenhausen . bauchplan ). ( baut im rahmen der akademie der spiele mit jugendlichen ein wasserspiel im gartentheater des grossen garten herrenhausen. revitalisierung . bauchkonzept für die neuausrichtung der lederergasse am villacher drau-ufer. stadtteilparadies . für das landhausareal in basel (ältestes fussballstadion der schweiz) entwickeln wir neue zeitschichten zur fortschreibung der historie mit zeitgemässen angeboten und aneignungsmöglichkeiten als aktiver statteilpark. entwurfsprozesse . entwurfsschema zur münchner mischung - dem wettbewerbsbeitrag zum kreativquartier münchen mit 711lab und raumspielkunst ziert das titelblatt der deutschen bauzeitung (dbz, supplement der entwurf, april 2013). auszeichnung und ausstellung . unsere wohnlandschaften gemini+ (mit al1 architektinnen, grundstein architekten und p. kneidinger) sind beim österreichischen architekturpreis das beste haus mit einem ersten preis prämiert worden. eine ausstellung aller nominierten projekte ist noch bis zum 15.mai im architekturzentrum wien zu sehen. bürgerinfo und planungsauftakt . wir starten mit einer öffentlichen informationsveranstaltung gemeinsam mit vertretern der stadt und bürgern in den gestaltungsprozess zur böblinger meile. nicht juriert . aufgrund einer angeblich verspäteten einreichung wurde unser beitrag sustainable campus newpark datteln (d) nicht beurteilt - danke fedex! wir finden die flexible landschaftsstruktur auf basis einer überhöht angereicherten kulturlandschaft als träger der künftige campusstrktur dennoch bemerkenswert. der gestaltungsansatz generiert sich aus der überlagerung von massen-, wasser-, energie und flächenmanagement. wählbar . die auszeichnung mag seltsam klingen, dennoch kann man unsere wohnlandschaften gemini+ jetzt online zum publikumsliebling wählen. anerkennung . der vorschlag aus der kooperation 711LAB, raumspielkunst und bauchplan ). ( für den städtebaulichen realisierungswettbewerb zum dichterviertel in ulm wird mit einer anerkennung ausgezeichnet. nominiert . gemini+ die wohnlandschaften weissenbach sind für den österreichischen architelkturpreis das beste haus nominiert. gemeinsam mit unseren planungs- und realisierungspartnern al1 architektinnen, grundstein architekten und p. kneidinger freuen wir uns auf die preisverleihung am 24.4.2013.
detail online . die wohnlandschaften gemini + (bauchplan ). ( mit al1 architektInnen, grundstein und p. kneidinger) findet sich in der aktuellen online-ausgabe des architekturportals Detail. landschaft als strategie . bauchvorlesung an der uni stuttgart, institut für städtebau, 22.1.2013, 11.30-12.30 uhr. kooperatives verfahren . in diskussion mit drei geladenen architektenteams, den vertretern der eigentümer und der stadt wien sowie verkehrsplanern entsteht zum jahresabschluss in einem dreitägigen workshop die grundlage des bebauungsplans für die dittelgasse in wien donaustadt (a). böblinger meile . im dialog mit der stadtplanung, externen fachleuten und anrainern entwickeln wir innerhalb eines kooperativem workshop-verfahrens eine neue sichtweise auf die potentiale der bahnhofsstrasse und des umgebenden stadtquartiers der unterstadt in böblingen. ankauf in büchenbach . der vorschlag von eyland 07 und bauchplan ). ( zum realisierungswettbewerb wohnhausanlage büchenbach, erlangen (d) wurde mit einem ankauf ausgezeichnet. ankauf in ruit . gemeinsam mit 711lab und raumspielkunst erzielen wir einen ankauf beim städtebaulichen ideenwettbewerb grüne mitte ruit, ostfildern (d). schaumwein-babies . mit micherllerundschalk, münchen, präsentieren wir das städtebauliche sowie landschaftlich-touristische entwicklungskonzept entlang der murufer in gornja radgona (si). ankauf . unser konzept zum ideenwettbewerb re-design der südosttangente a23, wien, wird mit einem ankauf prämiert. visualisierung mit stefanie de vos, bildende künstlerin, wien. 5. preis . gemeinsam mit eyland 07 freuen wir uns über einen preis im realisierungswettbewerb zur integrierten ganztagesschule mit hort st. leonhard in nürnberg. efficiency . unser transdisziplinäres projekt gemini+ wohnlandschaften im wienerwald (AL1architektInnen, bauchplan ). ( grundstein und p. kneidinger) liefert die titelgeschichte für architektur aktuell 10/2012, springer verlag, bauen mit minimalen ressourcen. beach von radkersburg. zum ende des sommers trifft man sich in der südsteiermark am neuen beach von radkersburg. nach fertigstellung des 2. bauabschnitts gibt es in der kurstadt erstmals wieder direkten, freien zugang zur mur. wir freuen uns auf die nächste (sonnen)badesaison. veröffentlichungen infrastruktur. in den aktuellen ausgaben von zement und beton (fachzeitschrift der östrerichischen bauwirtschaft, 3_12) und in anthos 10/2012 (schweizer fachzeitschrift für landschaftsarchitektur) finden sich artikel zu unserer grenzbrücke zwischen bad radkersburg und gornja radgona. wettbewerbsgewinn . mit meili, peter architekten, zürich/münchen, gewinnen wir den ideenwettbewerb gleisharfe neuaubing. handbuch jauerling . gemeinsam mit tourismusdesign erarbeiteten wir ein handbuch (gestaltungskonzept und touristische vision) für den naturpark jauerling, die höchste erhebung entlang der donau. ankauf . gemeinsam mit eyland 07 freuen wir uns über einen ankauf im realisierungswettbewerb zur staatsdomäne sonnenfeld. alpen-karpaten-korridor . gemeinsam mit tourismusdesign erstellen wir info- und rastplätze entlang der neuen radwegroute im alpen-karpaten-korridor. permanent breakfast . gemeinsam mit unseren projektpartnern befrühstücken wir zum abschluss des zweiten bauabschnitts den polizeivorplatz in bad radkersburg (einladung als pdf, 1.3mb) am freitag, 31.08.2012 ab 14 uhr. danke für die grosse teilnahme! anerkennung . im team mit lechner-lechner-schallhammer architekten erhält bauchplan ). ( eine anerkennung beim wohnbau-wettbewerb an der olivierstrasse in salzburg. auszeichnung . florian otto erhält den kunstpreis der bayerischen akademie der schönen künste, münchen. ausstellungseröffnung . BEE-FREE von yuji oshima und bauchplan ). 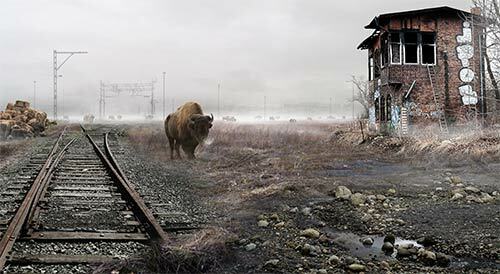 ( zu gast an der architekturgalerie am weissenhof, stuttgart - im rahmen der ausstellung mut zur stadt - urbane transformationen, 05. 07. bis 30. 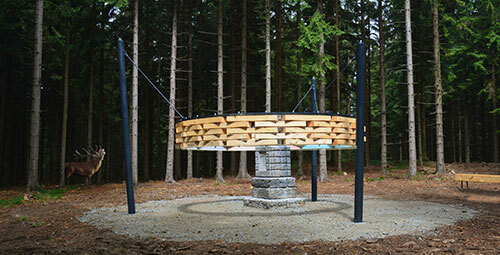 09.2012. vielen dank an corinna clemens für die unterstützung mit ihrem bienenvolk im rahmen der ausstellung! 3. preis . bauchplan ). ( freut sich über die auszeichnung im realisierungswettbewerb neumarktplatz biel (ch) für den vorschlag fenster zur altstadt. wieder ein 5. rang . bauchplan ). ( wird im team mit lechner-lechner-schallhammer architekten beim baukünstlerischen wettbewerb an der ignaz-harrer-strasse in salzburg ausgezeichnet. soho summt . BEE-FREE von yuji oshima und bauchplan ). 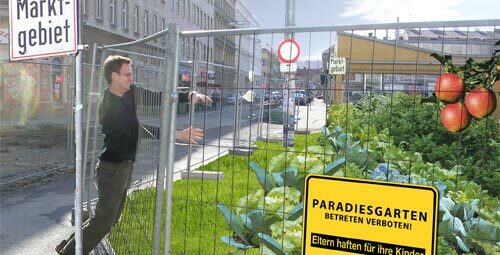 ( auf unsicherem terrain anlässlich soho in ottakring, installation am yppenplatz, wien ab 12.05. bis ende des sommers. vielen dank an hildegard burgstaller für die unterstützung mit ihrem bienenvolk im rahmen der installation. münchner mischung . im zweiphasigen, nichtoffenen ideenwettbewerb zur entwicklung des kreativquartiers (dachauer strasse / schwere-reiter-strasse, lothstrasse) wird der beitrag von 711LAB, raumspielkunst und bauchplan ). ( mit einem ankauf ausgezeichnet. nürnberger leichtigkeit . für den historischen hauptmarkt entwickeln wir eine neue urbane choreographie zwischen historie, alltagsnutzung und zukunftsfähigkeit. 5. rang . unser wettbewerbsbeitrag für die öffentlichen räume im neuen geschäftsquartier am guisanplatz in bern wurde im internationalen wettbewerb ausgezeichnet. pflücke deine stadt . vortrag in bonn vor studenten der penn state university im rahmen ihres europa-aufenthalts mit dem themenschwerpunkt europäische stadt und deren stadt-umland beziehung. openarchitecturenetwork. architecture for humanity listet bee-free als vorzeigeprojekt zum aktuellen open architecture challange. 3. preis . bauchplan ). ( startet mit einem preis beim wettbewerb für die künftigen stadtplätze erlenmatt (neues stadtquartier am ehemaligen containerbahnhof der deutschen bahn in basel) in das neue jahr. alltag und event . konzept für den mehrfach nutzbaren boveriplatz in baden (ch) als fenster und drehscheibe des zugehörigen stadtquartiers. umsteigepunkt . gemeinsam mit rosinak und partner, verkehrsplaner, entwickeln wir einen umsteigepunkt am bahnhof schwerzenbach (ch) als zukunftsweisendes dorfzentrum und aussichtspunkt. stadt ernten . bauchplan ). ( anlässlich der veröffentlichung zum deutschen landschaftsarchitekturpreis im gespräch mit prof. c. thalgott. landschaft im bauch . werkvortrag an der tu münchen im rahmen des 4. forums für landschaftsarchitektur und landschaftsplanung mit chance auf ein wiedersehen! brücke bei fluencies . unsere grenzbrücke ist teil der ausstellung fluencies des rumänischen architekturmagazins arhitext. vom 7. bis zum 9. oktober 2011 sind grenzarchitekturen ost- und zentraleuropas in timisoara, rumänien, zu sehen. pflücke deine stadt . bauchplan ). 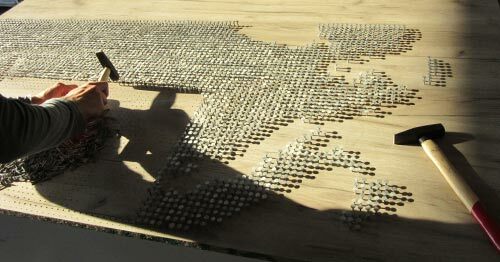 ( zu gast bei wonderland, plattform for european architecture, zu einem blind date und project space in kaiserslautern. urban flood risk management . unsere murbrücke und die geplanten stadteingänge von gornja radgona und bad radkersburg stehen auf dem exkursionprogramm eines internationalen symposiums, der tu graz vom 21. bis zum 23.09.2011. treffpunkt 11 uhr murbrücke bad radkersburg. ein tag am see . im geladenen wettbewerbsverfahren zum seepark aspern (a) entwickeln wir ein freiraumgerüst als altagstaugliche interne trägerstruktur des neuen stadtquartiers - basierend auf den natürlichen gezeiten den neuen künstlichen grundwassersees und den prägenden winden der ebene im nordosten wiens. 5. preis . bauchplan ). ( gewinnt im team mit lechner-lechner-schallhammer architekten einen preis beim nicht offenen realisierungswettbewerb zaunergasse in salzburg. deckel mit garten . für die autobahnüberdeckelung in hamburg stelingen und -schnelsen entwickeln wir eine topographisch geprägte dachlandschaft aus gärten und öffentlichen wiesenflächen. anerkennung . im team mit bayer und strobel, architekten erhält bauchplan ). ( eine anerkennung für das kirchenzentrum in poing bei münchen. 2. preis . bauchplan ). ( gewinnt im team mit lechner-lechner-schallhammer architekten einen preis beim offenen realisierungswettbewerb robingstrasse in salzburg, schallmoos. wien im doppelpack . zuerst ein öffentliches blind date mit m-e-s-s im rahmen von wonderland, eine woche später urbane landschaften / urbane landwirtschaft an der tu wien, fachbereich für örtliche raumplanung. bauchplan ... im feld . vortrag und diskussionsrunde mit bruto krajinska arhitektura in fail im feld im rahmen von orte - architekturnetzwerk niederösterreich. ankauf. im team mit janser castorina, architekten, graz. freuen wir uns über einen ankauf im wohnbauprojekt waagner-biro, ebenfalls graz. 3. preis . die choreographie für die annenstrasse in graz von bauchplan ). ( mit y. oshima und rosinak u. partner wurde mit dem 3. preis ausgezeichnet. grenze als ort . wir distanzieren uns vom artikel grenze als ort . brücke als gelenk, erschienen in der zeitschrift garten+landschaft 02/2011. verfasser des ursprünglichen artikels war das kollektiv bauchplan ).( . der textbeitrag wurde redaktionell überarbeitet und entspricht in aussage uns sprachwahl nicht der intension des autorenteams. one roof village . für ein künstlerdorf in ghana entwickeln wir ein haus als dorf mit privaten und öffentlichen raumeinheiten unter einem grossen klimadach. entwicklungspotentiale . für das aeg-areal in nürnberg erstellen wir im auftrag der stadt eine studie über die entwicklungschancen des areals und mögliche strategieen zu neukonnotation des industrieareals am am flussraum. 3. preis . 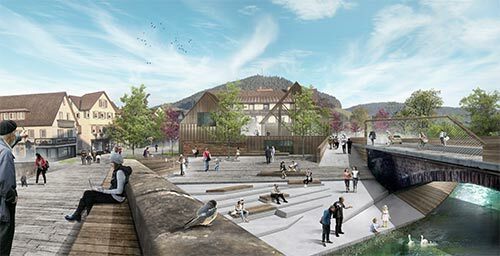 gemeinsam mit perktold architekten, bozen, erhalten wir den 3. preis für unseren vorschlag zum neubau der bergner bräu in eppan. anerkennung . im team mit grundstein architekten und rosinak und partner verkehrsplanung erhalten wir eine anerkennung für unseren wettbewerbsbeitrag zur gestaltung der meidlinger hauptstrasse. grenzüberschreitende eröffnung . der verkehrsminister der republik slowenien und die steiermärkische landesregierung eröffnen um 14.30h die von bauchplan ). ( in kooperation mit michellerundschalk gestaltete grenzbrücke zwischen gornja radgona und bad radkersburg.photo von brane bozic. agropolis picknick freiham . die zeit ist reif für die erste ernte in freiham im westen münchens. im rahmen der a5 architekturwoche des bda bayern kann am sonntag bei einem picknick die wiederentdeckung des erntens als urbane raumpraxis erprobt werden. grenzgänge . vorankündigung werkvortrag mit aktuellen grenzprojekten, 11.06.2010 ab 11 uhr an der tu wien. schweizer landschaftsarchitekturtage . bauchplan ist mit dem chaponniere park in bern brünnen bei der veranstaltung des bund schweizer landschaftsarchitekten vertreten. green city . team agropolis ist zum ersten forum green city per le citta del futuro am 4.6. in mailand geladen. 2. preis stadtteilpuzzle eigerplatz bern . der in kooperation mit rosinak und partner und y. oshima entwickelte beitrag zum eigerplatz in bern wurde ausgezeichnet und zur weiterbearbeitung in einem gutachterverfahren empfohlen. urbane allmende . für das pfingstweidareal in zürich schlagen wir einen park als schlhof, quartierssport und pausenort vor. preisverleihung & ausstellungseröffnung agropolis münchen . im südhausbau wohnforum, hohenzollernstrasse 150, 80796 münchen, ab 19.00 uhr. der gemeinsam erarbeitete beitrag von j. schröder und k. weigert, m. deerenberg und ). ( zur wiederentdeckung des erntens im urbanen alltag findet in der ausstellung im rahmen von open scale einen weiteren höhepunkt mit der verleihung des 1. preises. westbadlandschaft . mt eyland entwickeln wir eine bäderlandschaft für das freibad nürnberg west. der lärmschutz zu den anrainern wird zur atmosphärisch prägenden topographie, in der bad-infrastrukturen wie umkleiden und serviceräume, aber auch liegewiesen und freibereiche integraler bestandteil sind. bee-free in berlin . im rahmen der langen nacht der revolte gastieren wir mit y. oshima und unserem projekt bee-free mit einem vortrag an der akademie der künste in berlin (pariser platz 4, 20.30 uhr). kein wunder in bern . unser beitrag zum gutachterverfahren öffentliche räume in wankdorf city wird leider nicht realisiert. 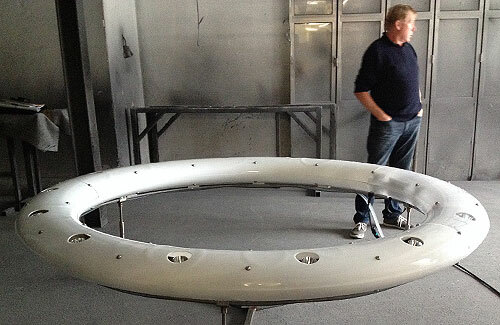 prototyp fertiggestellt . die ersten drei laufmeter der brückenbrüstung für 08 rad . link for bad radkersburg and gornja radgona sind fertiggestellt. das projekt entsteht in einer kooperation zwischen bauchplan ). ( und michellerundschalk, münchen mit wörrle+sparrowitz ingenieuren, graz. ausstellungsbeitrag linz 09. unser projekt bee-free, bauchplan ). ( mit yuji oshima, künstler, ist teil der sonderausstellung - das grüne band europas: grenze.wildnis.zukunft - zur eröffnung des erweiterten landesmuseums in linz. 1. preis sportcampus chur . bauchplan ). ( gewinnt mit olk.ruf, architekten dornbirn, den wettbewerb zur erweiterung und umgestaltung der sportstätten in chur, graubünden. agropolis in der 2. runde . der, gemeinsam mit joerg schroeder, margot deerenberg und kerstin weigert erarbeitete vorschlag zur wiederentdeckung des erntens im urbanen alltag wurde im rahmen von open scale zur weiteren bearbeitung ausgewählt. habsburgerplatz bei den architektouren 2009 . unser gerade seinen künftigen nutzern übergebener platz in schwabing wird vom 27. bis zum 28. juni im rahmen der architektouren der bayerischen architektenkammer vorgestellt. ankauf . für den gemeinsamen wettbewerbsbeitrag mit ring und werner architekten zur gestaltung der zentralen kanalstation der stadtwerke münchen. bauch an der akademie. tobias baldauf erhält ein forschungsstipendium der sektion baukunst an der jungen akademie in berlin. auszeichnung für unser designkonzept zur s7 . fürstenfelder schnellstrasse (projektteam mit g. strehle . architektur und umweltgestaltung . auftraggeber asfinag) durch das österreichische bundesministerium für verkehr, innovation und technologie im rahmen des createch-wettbewerbs 2008 in der kategorie straight forward. 3. preis für die windlandschaften im weinviertel . unsere zeitreise durch die entstehungsgeschichte des weinviertels entlang der schnellstrasse s3 ist mit dem 3. preis ausgezeichnet worden. bau(ch)stelle habsburgerplatz . baubeginn für unseren möglichkeitsraum und gleich zu beginn ein röntgen des öffentlichen raums in nordschwabing. paradise tv . 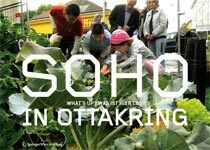 unser paradiesgarten (installation im rahmen von soho in ottakring 2006) ist am freitag, 22.8.2008, auf okto tv zu sehen. 2. preis für den beitrag von r. rissland und bauchplan ). ( beim wettbewerb zum ersatzneubau eines pflegeheimes. lauf an der pegnitz. (l)ost links . gemeinsamer auftakt zur grenzerfahrung in der mitte europas im rahmen unseres margarete schütte-lihotzky stipendium 2008 des österreichischen bundesministeriums für unterricht, kunst und kultur. bauchbesuch . die architekturschule umbau (william tate und 12 seiner studenten) zu besuch im bauchladen wien . projektvorstellung und akademische diskussion . erfrischend anders. bauch im ballrausch . bauchplan kommt in wien zum fussballfest zusammen. das spektakel bleibt aus, dafür cordoba ein phaenomen. 50prozentige erleichterung. landschaftsproduktion . vortrag zur genese und lesart von landschaft an der tu münchen, landraum, lehrstuhl für planen und bauen im ländlichen raum ab 9.15 uhr hs 2370.
ausstellungseröffnung . mit dem erfolgreichen wettbewerbsbeitrag von bauchplan ). (/r.micheller auf der murbrücke zwischen radkersburg und gornja radgona. transitraumforschung . installation kaiserberg - woher wohin von raumzeug (felix lüdicke, kobinian lechner) im rahmen der paradoxien des öffentlichen noch bis 1. juni im autobahnkreuz duisburg kaiserberg . foto rainer schlautmann 2008 .
wettbewerbsgewinn . bauchplan ). ( erhält im team mit r. micheller beim bilateralen gestaltungswettbewerb nachbargrenzstädte bad radkersburg (a) und gornja radgona (si) für das übergeordnete konzept (urbanism and landscape) den 1. peis. der beitrag zum freiraumkonzept (public open space) wird mit dem 2. preis ausgezeichnet! baubeginn 06 bern . der chaponnniére park in bern-brünnen wird wirklichkeit. wettbewerbsgewinn . bauchplan ). ( gewinnt im team mit schallhammer, lechner & lechner architekten den geladenen wohnbauwettberb aglassingerstrasse in salzburg. hüttenzauber . bauchplan startet mit einer expedition im salzkammergut ins neue jahr. fussgängerinnenballet . unser beitrag zur neugestaltung der wiener city (graben, kärntnerstrasse, stephansplatz) wird mit einem ankauf ausgezeichnet! 3. preis! landschaft in bewegung . die szenographie des reisens von bauchplan und einszueins architektur . wien, ist im geladenen wettbewerbsverfahren zur gestaltung der s36 schnellstrasse mit dem 3. preis ausgezeichnet worden. bauchpool . aus der wiener bürohitze exkursion ins blaue nass von 05 denk im wienerwald. 3. preis! der wettbewerbsbeitrag karst mit rissland und gordon architekten für die philharmonie in skopje wurde ausgezeichnet. pokalsiegerbesieger . team bauchladen ottakring besiegt bei der coppa vienna 2007 als einzige mannschaft die späteren tuniersieger und hat bloss so einen schönen tag auf der wiese. alles wird schön . wir arbeiten dran . ). ( bei soho in ottakring 2007 (wien, 19.5. bis 2.6.). wettbewerbsgewinn . die, mit g. strehle (eisvogel . raum für architektur) entwickelte landschaftsmetamorphose ist beim realisierungswettbewerb zur trassengestaltung der s7 (steiermark / burgenland) richtung ungarn mit dem 1. preis ausgezeichnet! wohnlandschaften . vortrag von tobias baldauf und florian otto am wohnforum der eth zürich zur freiraumgestaltung im wohnumfeld. 2. preis . unser beitrag mit c. feuerstein (architektin . wien) erhält eine auszeichnung beim städtebaulicher ideenwettbewerb in wolkersdorf. kraftwerk sohlstufe lehen . aus dem beitrag der arbeitsgemeinschaft lechner.lechner.schallhammer, bauchplan ). (, gewässer.schnell zum gutachterverfahren wurde das landschaftsarchitektonische konzept der arbeitsgemeinschaft bauchplan ). ( und gewässer schnell von der jury zur weiterbearbeitung empfohlen. tanz auf dem vulkan . 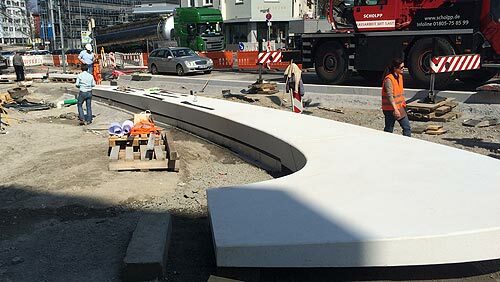 für den vulkanplatz in zürich entwickeln wir ein interagierendes konzept zwischen nutzern und tram-bahn: ein spektakuläres fontänenfeld inszeniert die grösse des platzes und infomiert wartende über die ankunft der öffentlichen verkehrsmittel. bauchstelle bern brünnen . erstkontakt mit der grossbaustelle in bern und planungsbeginn für unseren grünzug. bäuche in lehre . florian und tobias : eth zürich . rupert und marie-theres : boku wien . dorothée : tu innsbruck. wir freuen uns auf die neuen aufgaben entlang der alpen. bau(ch)beginn 05 denk . der pool am hang wächst in den wienerwald. im nebel . ). ( köpfe auf standortsuche im ötztal. coppa viena . das team ). (-laden erspielt bloss so beim wiener architektencup den 3.platz! danke allen neueinkäufen, betreuern, sponsoren und fans für die unterstützung! 1. preis . beitrag von ). ( und bembe-dellinger architekten, greifenberg, erzielt beim realisierungswettbewerb wohnen und reiten in breitenbrunn den 1. preis! ... details demnächst! best private plot 06 . 05 franz ist unter 70 projekten aus 14 ländern nominiert für den internationalen preis der landschaftsarchitektur. ausgezeichnet werden herausragende leistungen in der gestaltung privater freiräume, die nach 1996 realisiert wurden - wir sind gespannt und freuen uns auf die preisverleihung. 1. preis . unser beitrag projektwettbewerb grünraum brünnen . bern . ch . erhält den ersten preis. 3.preis im ideenteil. details demnächst! architektouren 2006 . 04 gün, der - in zusammenarbeit mit AL1 architektInnen - entwickelte dorfplatz in holzgünz ist bei den diesjährigen architektouren der bayerischen architektenkammer vom 24.-25. juni vertreten. 1. preis . ). ( gewinnt mit eisvogel . raum für architektur (arch. k.bayer und m.zilker) das gutachterverfahren für das wohnbauvorhaben der seg an der kaiserebersdorfer strasse in 1100 wien. 1. preis für unseren wettbewerbsbeitrag wohnlandschaften heustadlgasse . wien . im team mit pichler & traupmann! 05 franz / 04 renn . unser kleinster privater aussenraum und der innenhof in der renngasse sind ab sofort in der architekturdatenbank nextroom gelistet! 1.ankauf für unseren wettbewerbsbeitrag zum christian-weberplatz in homburg. demnächst mehr! bau(ch)lücke - vortrag an der fh coburg . am nikolaus-abend sind wir an der fh coburg in der dienstagsreihe zu gast. 1. preis!!! . beitrag des teams x-architekten [wien/linz] - bauchplan ). ( zum wohnbau-wettbewerb der gwg in linz gemeinsam mit dem ersten Preis ausgezeichnet. demnächst mehr! praktikumsplatz bauchplan wien . engagierte(r) studentIn (landschaftsarchitektur, städtebau, architektur, etc.) ab märz/april 2006 für mind. 2 monate gesucht. bauchverstärker . felix lüdicke (tu münchen) verstärkt ab sofort unser team in wien! 3. plätze! für unseren wettbewerbsbeitrag zum kindergarten in der alten reithalle in landsberg am lech in zusammenarbeit mit dem architektenteam helgo von meier, robert klein und stefan hölters (münchen/schondorf) und für den beitrag zur landesgartenschau rosenheim 2010 in zusammenarbeit mit spindelberger zt hydroingenieure (wien) jeweils ein dritter preis. landschaftsarchitektur am markt . im rahmen von soho in ottakring bieten bauchplan wien und marta rego frische taschengärten am brunnenmarkt feil. ideenwettbewerb . neue stadtlandschaften für akurejri - nordisland - ein städtebauliches spiel mit licht, klima und vegetation. bauchplan lädt ein >> marta rego präsentiert UNbenannt46/47 . schellhammergasse 16/4 . 17 bis19 uhr gallerie. ausstellung . unser garten für verliebte ist bis 15.05 im botanischen garten - schloss trautmannsdorff - in meran zu sehnen. alte liebe rostet nicht . ein garten für verliebte - botanischer garten schloss trautmannsdorff in meran . unter 700 teilnehmer und nur 3 preisen eine lobende erwähnung für bauchplan +[mit u.troyer und m.rego]. traum in weiss . nur fliegen ist schöner .... bauchplan turnt in den bayerischen voralpen und hofft auf baldige wiederholung. 04 renn . fertigstellung und übergabe des innenhofes an der freyung . renngasse 1 in wien. landschaftsurbanismus . transformierte stadt-land-schaften . vortrag im rahmen der herbsttagung der bayerischen akademie ländlicher raum e.v. und der bayerischen architektenkammer. 14./15.Oktober in Eichstätt. bauchplan . wächst . unaufhörlich . das feiern wir !!! parc de la palmeras . für einen küstennahen park in garucha (e) entwickeln wir das konzept des sich selbst generierenden und beständig forpflanzenden grünraums im ariden küstenklima. limmat . flimmern als dank für zusammenarbeit und gruss von donau und isar an die limmat entsteht in zürich letten für die dauer einer nacht eine lichtinstallation im fluss. (zweite architekturwoche A2 vom 09. bis 17.07.2004) geben wir am 14.07.2004 . 19uhr einen abendlichen projektbericht zu .opa in den kunstarkaden der sparkassenstrasse 3.
kräftige orte . AL1 und bauchplan auf entwurfsworkshop zum projekt .opa in slowenien - ljubljana - und kroatien - opatija. vortrag und podiumsdiskussion in der abtei von pont-á-mousson. mit der kollegin am lehrstuhl für landschaftsarchitektur und öffentlicher raum, jennifer pfister, und studenten des 6. semesters stellt sich tobias einer podiumsdiskussion zum abschluss der teilnahme an den jardin á suivre 2004 . ausserdem präsentieren studenten der tum drei ihrer realisierten festival-gärten und drei parkkonzepte für das schloss in colpach . luxemburg . vor. bewerbung für das stadtforschungsprojekt "making it 2 / sprache der straße" ... unser projekt "bauchladen" ist aus 78 bewerbern als nachrücker ausgewählt und wir hoffen weiter auf eine teilnahme. der bauch von paris ... bauchplan + wieder auf erkundungsfahrt ... ostereiersuche ... frühlingsentdecken ... grossstadtfröschefangen ... wir waren wohl nicht alleine. im zuge der internationalisierung wird bauchplan nett . die freunde des netzwerkes ahnten es schon! bauchplan auf standortsuche. 2290 mnn . -10° bis + 15° celsius . vermeindlicher sonderpreis schinkel 2004 . vorschlag der jury ... vom schinkelausschuss nicht vergeben. so was gibt´s - wir freuen uns, dass drüber diskutiert wird. langer tisch ein fest in orange . allerbauchs ein ruhiges und schönes weihnachtsfest. für den kleinen hunger zwischendurch. täglich zwischen 11.00 und 15.00 uhr. danke AL1 für den tipp! städtebau und kleine prinzen . ein kommentar zum städtebaulichen ideen- und realisierungswettbewerb "rathausumfeld mit bürgersaal" in der gemeinde vaterstetten. bauchplan 1/2 wieder zurück aus dem fernen peru. flo ist wieder da und hat uns einen firmenwagen mitgebracht ... danke! bauchplan ist zu den jardin á suivre geladen. 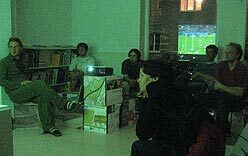 für die luxemburgische gemeinde heinerscheid entwickeln das büro levin-monsigny [berlin] und wir im rahmen des festivals für temporäre gärten vorschläge für die nächste auflage im sommer 2004.
bauchplan besucht AL1. graf . heiss . rott . architektInnen . auf den architektouren 2003 . samstag . 28 . juni . 11.00/14.00 uhr fachklinik für suchtkranke frauen in schlehreut bei passau. bauchplan 3.0 ist online. die umbauphase ist [noch nicht ganz] abgeschlossen - im büro, als auch endlich auf dieser seite. wir hoffen, ihr schaut jetzt wieder öfter vorbei und wünschen viel spass beim entdecken. bauchplan ist in paris. exkusionen zu parks mit miru und plätzen mit photoapparat, workshopen mit yuji, shoppen mit nana, japanisch abendessen, treffen mit uli, leben am montmatre. baguettfrühstück, 5 tage intensiv "stadt". bauchplan endlich mal wieder mit freunden am lago. klettern . bäuche füllen . einkaufen . verletzungen kurieren . zeit haben . frühstücken . bäuche bräunen . wettbewerb "neue mitte passau" entschieden. der vorschlag von bauchplan und AL1 zum umgang mit der zu integrierenden einkaufs-mall und dem durchgängigen öffentlichem raum ist nicht unter den preisträgern. beitrag zu intern. wettbewerb zur nachnutzung des zentralen güterbahnhofs osaka . japan. Zusammenarbeit mit yuji oshima . medienkünstler . paris.wien.tokio. landesgartenschau neubrandenburg mit ver.de landschaftsarchitekten . freising und AL1 . graf . heiss . rott . architektInnen . münchen . ankauf . 1.preis ! wettbewerb um altstadtlücke am pfleghof in tübingen mit Allmann . Sattler . Wappner . architekten [münchen] + ver.de landschaftsarchitekten [freising] gewonnen. gutachterverfahren mit Allmann . Sattler . Wappner . architekten . münchen . zum neubau der geschäftsstelle südwestmetall in heilbronn . pi1.projektinter.net ist der name unseres eigenen neuen servers . p3 . linux . scsi-raidsystem . doppeltes netzteil . gehosted bei x-dot . einladung . schon seeehr alt eigentlich - der erinnerung und komplettheit wegen muss es aber hier nochmal rein. und das nächste fest kommt bestimmt .